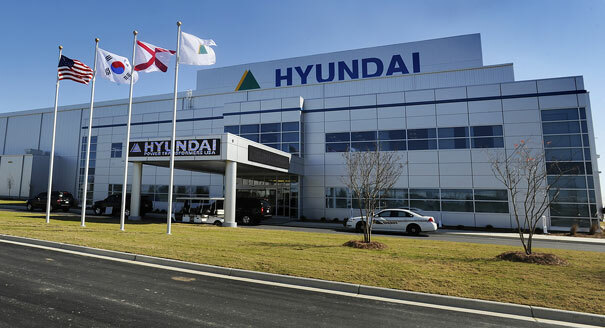 When automotive giants Hyundai, Honda, and Mercedes Benz opened up facilities in the state of Alabama, they opened up way more than we imagined. Of course, having them here has had an incredible effect of the local and state economies and has provided jobs for countless numbers of Alabama families, but having them here has also opened up a world of cultural education that many Alabamians might have otherwise missed. Mercedes Benz, headquartered in Stuttgart, Germany, is a multinational division of the German manufacturer Daimler AG. Mercedes opened its Alabama location near Tuscaloosa, Alabama in 1993, bringing with it a little bit of its culture, and a lot of the food Germany is famous for. Most everyone has heard of bratwurst and sauerkraut, but have you tried Bratkartoffeln (potatoes fried in a little oil in the pan), Kartoffelgratin (potato slices baked in oil and cream), or Kroketten (mashed potatoes that are then fried)? And if you travel back a little further, you’ll find that German Americans established the first kindergartens in the United States, introduced the Christmas tree tradition, and originated popular American foods such as hot dogs and hamburgers. The Honda Corporation established its Alabama operations near Talladega in 1999, bringing with it Japanese culture and customs. More sushi restaurants and Asian markets began to open, but the actual culture itself is being offered to Alabama. The Japan-America Society of Alabama holds several yearly events to further its mission “to provide an avenue for the people of Alabama and the Japanese people residing in Alabama to promote friendly personal and professional relationships – all to increase a better understanding of each others peoples and customs”. The most popular of which could arguably be the annual Cherry Blossom Festival, held each March in the Japanese Gardens inside the Birmingham Botanical Gardens. 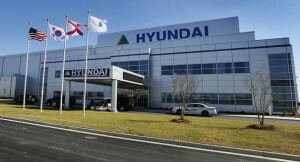 Korean automaker Hyundai came to the Montgomery, Alabama area in 2001 and the Korean community in Montgomery has been growing ever since. To learn more about the culture, one need go no further than Stratford Square Plaza on Eastern Blvd to witness the number of Korean businesses, including grocery stores, restaurants and medical care. Another business that helps people connect is the Seoul Market, a Korean grocery store also on Eastern Blvd. About 30,000 Montgomery County residents are Korean Americans, making up about 3 percent of the county’s population, according to county records. Montgomery now celebrates Korean-American day on Jan. 13 to recognize the first group of immigrants to the U.S. from Korea, who arrived Jan. 13, 1903. Among all the magnificent things that make Alabama so rich, its people are her cornerstone. Having the traditional southern roots that so many of us are accustomed to is a wonderful thing. To be able to share our culture with another culture, to have our rich customs and ideas spread to other nations and to have to opportunity to live beside and learn from people and cultures that we otherwise might never get to meet is a once in a lifetime opportunity. Just like with everything else, the more we learn and understand, the better able we are to tolerate and accept one another.